Transcorp established since 1987, has the ability of providing you with Melbourne local furniture storage options in a variety of methods. Predominately we utilize 20ft purposely constructed furniture removal containers and home modules. The 20ft furniture containers can accommodate a 2 to 3 bedroom house or (30m3 to 35m3) of furniture once the packing requirements are taken into consideration. The timber home modules (stored inside our warehouse – 2 or 3 high) can accommodate a few items (typically two home modules are required per bedroom of furniture) or 7m3 to 8m3 per home module. Unlike Self Storage facilities, in both cases we will FREE of charge wrap your items in protective blankets, plastic wraps as required and perform and inventory and condition report for your peace of mind. Below is a summary of the two options and when either solution will best suit your needs. Your Melbourne local home, commercial or office move requires storage (short, mid or long term) and will conveniently fit within 1 or multiple of our 20ft fully equipped furniture container(s) that hold approx. 30m3 to 35m3 (cubic metres) of furniture. 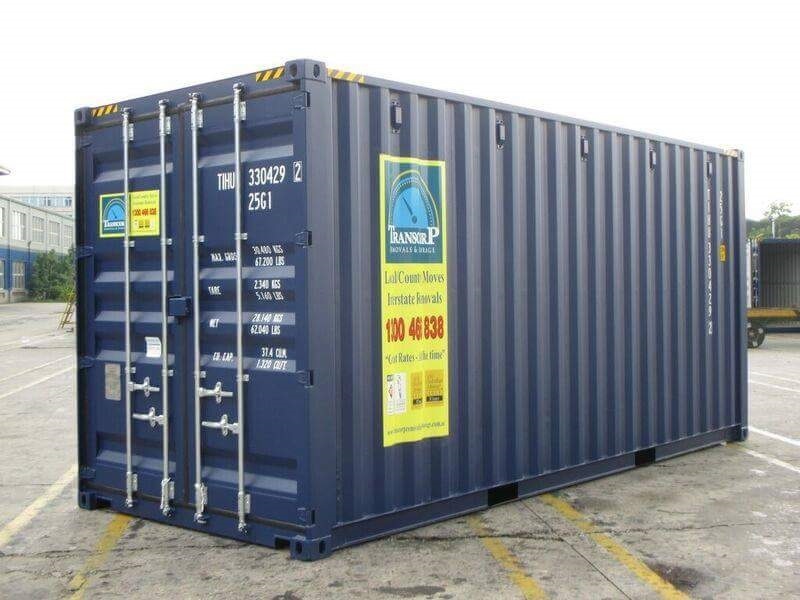 Transcorp containers are designed to safely and securely store furniture and/or office goods. For large Melbourne moves to our storage facilities we can use multiple 20ft containers with multiple removal trucks and experienced, highly trained removalists (minimum 2 man). Our qualified sales representative will confirm your best option and solution once your furniture inventory is determined. We arrive with a local furniture removal container truck(s) and using our experienced and qualified removalists proceed to load the 20ft container(s) carefully by maximizing the space within them whilst using our removal trollies, straps, furniture blankets and tie downs to safely secure your precious furniture. 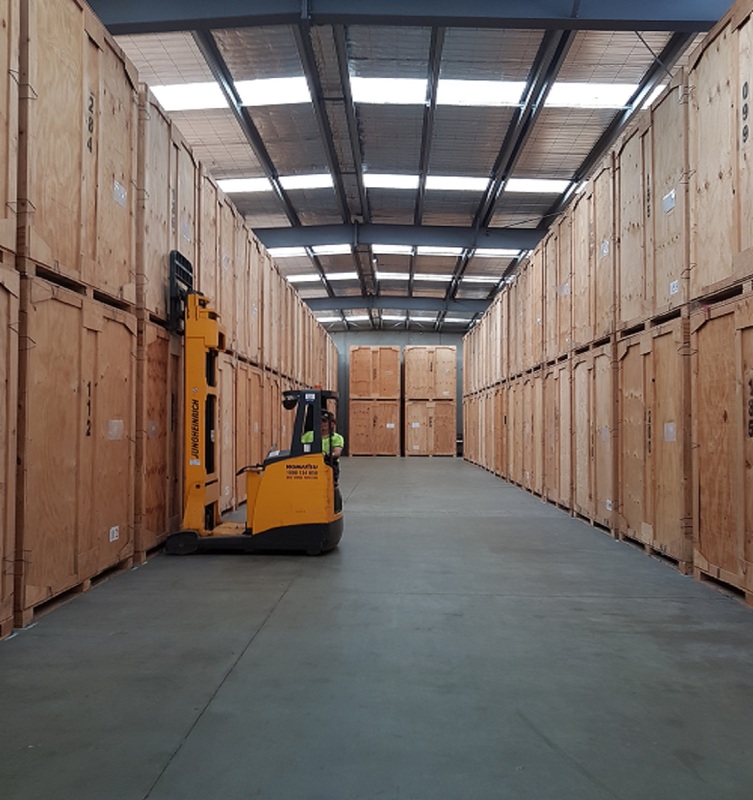 We unload the container off the truck with our large container forklifts at our Melbourne storage facility and securely lock it up within our AFRA and SSA accredited storage premises. We do NOT double handle the furniture contents in the 20ft shipping container we loaded for you. Goods are left safely within the loaded 20ft container. Upon your request we will re-deliver the loaded 20ft furniture container to your new / existing premises by a Melbourne local removal container truck. We arrive with a fully equipped local furniture removal truck and using our experienced and qualified removalists (minimum 2 man) proceed to load the truck using our removal trollies, straps, furniture blankets and tie downs to safely secure your precious furniture. We will unload the local furniture removal truck at our storage facility and securely lock it up within our AFRA and SSA accredited storage premises. Upon your request we will re-deliver the goods with our local furniture removal truck back to your new/ existing premises.